• Garezers is a private not-for-profit organization owned by Latvian shareholder organizations with the purpose of conducting educational, cultural, charitable, religious, and social activities. • The business and affairs of Garezers are managed by its Board of Directors, which has approved policies and rules governing the use, function and activities of the campground. They are implemented by Garezers Administration and designees and apply to all workers, campers and visitors. • The campground provides a site for various youth programs and other events, as well as temporary residency for participants, family members, volunteers and program or event supporters. 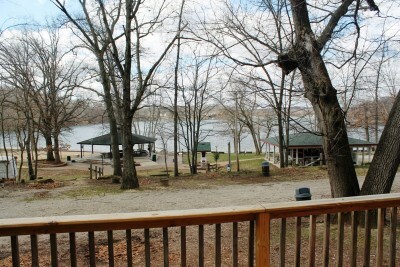 The campground also serves the community by providing a site where individuals and families can meet in a recreational setting to socialize and establish or foster connections and friendships with others who value their Latvian identity and heritage. • Entry to and use of the campground is restricted to program participants, their families and invited guests, and those granted permission by the Garezers Administration. It is expected that all use will be consistent with and in furtherance of Garezers purposes. 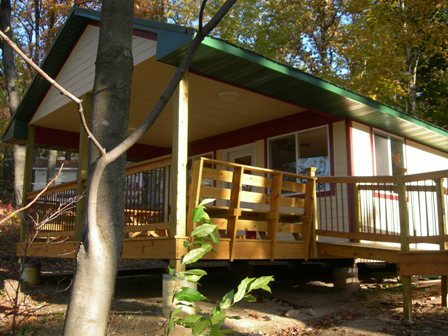 • Garezers is able to operate through the freewill contributions and fees and activities conducted at the campground. It is mandatory that all campers and visitors obtain all applicable permits for camping, vehicles, boats, and other related activities. They are also encouraged to further support Garezers with volunteer efforts and monetary contributions. • Garezers’ goal is to provide all campground users with a pleasant family atmosphere during their use and stay. Please treat the campground with the same respect, care and common sense as you would expect in your own home, so Garezers can continue to provide this benefit for you and others. Please respect the privacy and rights of other users. • The campground is open during the mid-Spring through mid-Autumn season only. Special permission is required for any use outside of this time period by Garezers Administration. • These rules apply to the entirety of the Garezers campground. However, additional rules and restrictions may apply to specific areas within the campground during the peak season, from Memorial Day through Labor Day, and/or during the specific 6-week summer camp program timeframes. Additional rules and restrictions may also apply to certain programs, groups and/or events. • All workers, campers and visitors shall comply with local, state and federal laws. • Campers and visitors must be at least 18 years of age to obtain permits. Permit holders must have valid identification that verifies proof of age and will be asked to complete registration forms. The permit holder is responsible for the conduct of everyone in their party. • Individuals under 18 years of age must be under the supervision of a parent or guardian, who will be held responsible for the actions of their children. • In compliance with Michigan state laws, alcohol use under 21 years of age is prohibited. • Campers and visitors are responsible for their behavior and actions, and that of their guests. Campers and visitors must be considerate of others enjoying activities at the campground. For example, remember to tone down your visitation and music (in particular amplified music or instruments) in the evenings, out of respect to others. • All trailers, tents, vehicles and boats must display a valid permit. Vehicles and boats must be parked or moored in designated areas only. Trailers, tents, vehicles and boats without permits will be removed and/or towed at the owner’s expense. When entering the campground, please observe speed limits, drive slowly and be on the watch for pedestrians and especially children. • Please respect the environment and help keep our campsite clean. Clean up after yourselves and deposit litter in designated garbage cans and containers. • Pets are to be kept on a leash at all times. Owners are responsible for cleaning up after their pets. In compliance with Michigan state laws, pets are not allowed on the beach in areas designated for wading and/or swimming. • Glass bottles are not permitted on the beach in areas designated for wading and/or swimming. • During the specific 6-week summer camp program time frame there are supervised swimming areas and times. Hours and additional guidelines are posted at the lakefront, and must be observed. Entry to the lake for wading or swimming at any time is at the risk of the camper and/or visitor. • Use of fireworks, firearms or other explosives is prohibited. • Cutting down of trees or shrubs is prohibited. • Campfires are permitted in designated areas only. • Garezers Administration and designees reserve the right to refuse admittance and/or to evict campers and visitors from the campground for non-compliance with these rules, using their judgment and assessment of the situation, without refund of any permits or fees. • Questions regarding these rules should be directed to Garezers Administration. • Upon entering the campground, campers, visitors and other users recognize and acknowledge that there are certain risks of physical injury, and they assume full risk of any injuries, damages or loss which may be sustained as a result of any and all activities taking place on the campground. 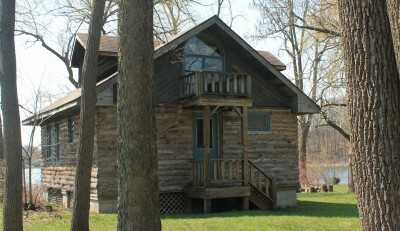 • Upon entering the campground, campers and visitors and other users waive and hold harmless Garezers, its Board of Directors, Administration and other officers, agents, servicers, servants and employees from any and all claims from injuries, damages or loss which may result from any and all activities taking place on the campground. • Garezers is not responsible for stolen, damaged, or lost personal property of any worker, camper or visitor. Purpose: This document identifies the policies and guidelines under which Garezers grants eligible individuals the privilege to lease a trailer site on land owned by Latvian Center Garezers, Inc. (hereinafter referred to as Garezers.) This document may be revised by Garezers when it is necessary. This policy applies to the Atbalsis and Dzintari trailer sites. Function of Trailer Site Use: Garezers trailer sites are a resource to be administered and used in furthering the overall mission and goals of Garezers and the policies adopted by its organizational governance, in line with requirements set by the State of Michigan and local jurisdictional regulations. Trailer site use serves an important function in supporting the various youth, cultural, religious, recreational and other programs and events occurring at Garezers by providing convenient accommodations for participants, family members, volunteers and program or event supporters. Trailer site use also serves an important social function for the broader Latvian community by providing individuals and families a setting and opportunity to meet, socialize, and establish or foster connections and friendships with others who value their Latvian identity and heritage. Trailer site leasing privileges are granted with the expectation and understanding that use of the site will be consistent with these purposes. Ownership & Use of Trailer Site: Trailer sites are owned by Garezers, and the privilege of occupying a site is subject to the terms, conditions and fees established by Garezers. Site occupants have no ownership in the site, and no right to assign, sublease, transfer or otherwise convey occupancy rights to another party except as noted in this document. It is the intent of Garezers that granting the right to use trailer sites is for the mutual benefit of the Camp and Trailer owner and not just a recreational camping site. Trailer owner names and contact information must be provided to Garezers, in writing and need to be updated, verified and acknowledged annually at time of site lease renewal. 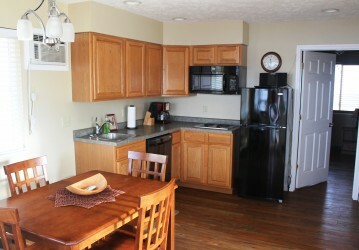 Lease Term: 12 months, commencing January 1st and ending December 31st. Trailer & Septic Fee: Determined by trailer size and if septic dry well or hook up to central system. For questions please discuss with Garezers Executive Director. One (1) free pass for the 4 + 2 volleyball weekend event. One (1) Garezers auto sticker. Services: Includes use of Garezers grounds, electricity, water, waste disposal. Damage: There is no individual trailer insurance available or implied from Garezers. Trailer owners are responsible for all loss due to theft, fire, vandalism and/or acts of God. Private insurance coverage should be obtained by the trailer owner, as necessary. Eligibility: The primary trailer owner must be at least 21 years of age and a member in good standing of a Garezers shareholder organization. Eligibility requirements are fulfilled when the trailer owner signs and returns the Acknowledgement section of this document along with the lease fees. Occupancy: The trailer tenant must be the trailer owner and/or a trailer owner family member. The trailer may not be sub-leased or rented. The land of the trailer site may not be sub-leased or rented. Non-Transferable: The Garezers Trailer site lease is offered only to the current trailer owner and the owners direct family. This lease is not transferrable to others under any condition. Consideration of fellow residents: Trailer owners are expected to abide by standard curfew times and rules of Garezers, and to respect the considerations of fellow residents and campers regarding any social activities, including late night music, etc. Participation: All trailer owners are required to directly assist and support Garezers’ program activities and/or work programs and other volunteer functions. This support from each trailer owner can be fulfilled in a wide variety of ways. For more information, please contact our Main Office. Appearance: Trailer owners are expected to maintain the exterior of their trailer and the surrounding area (trailer site) in a clean and orderly appearance. New trailers, structures and additions: Are not allowed without written permission and approval from Garezers. COW Construction: The construction of a COW (Cabin on Wheels) is not permitted on Garezers property. A COW may be constructed off site and positioned in an available trailer site only after the COW construction is complete. Parking: There are no guaranteed or assigned parking areas for autos of trailer owners. Some trailer sites provide room for auto parking while others do not. Signs restricting and designating parking are posted in some areas. Vegetation and Landscaping: Trailer owners are not permitted to alter Garezers terrain or vegetation for purpose of: a) expanding or enlarge trailer sites, b) expand or create camping sites, c) expand or create parking or storage areas, or improve views. Trailer site users may cut shrubs or small trees (less than 12′ tall) that are within 4 feet of the trailer. Any other cutting [or an alteration of terrain] around trailers must have the advanced written approval of the administrator. Termination: If you do not wish to use the site and/or renew your lease, you must inform Garezers immediately and make your site available to the next person on the wait list. Vacating Premises: Moving out and vacating the leased trailer site is the responsibility of the trailer owner. The trailer owner is responsible for the removal of any, and all structures, additions, septic systems and other items on the trailer site, in line with requirements set by the State of Michigan and Garezers. Trailer Ownership: When a trailer owner decides to not renew his trailer site lease and would like to sell his trailer “on the Garezers trailer-site”: The Administrator will specify a time duration to facilitate the sale (by owner) of his trailer to the next party (buyer) on the waiting list. Should the owner and buyer be unable to agree on the sale price of the existing trailer, but the buyer is interested in the trailer site, the trailer will be considered unwanted and the owner will be responsible for immediate removal of his trailer from the Garezers trailer-site. Abandoned Trailers: When a trailer owner does not remove an unwanted trailer before a deadline specified by the Administrator, or if a trailer owner does not respond to inquiry of an unused, derelict or otherwise unwanted trailer, the trailer will be considered abandoned. The abandoned trailer will be removed by Garezers at the trailer owners expense. Revocation: Garezers has the right to revoke a trailer site lease for not abiding by these policies and guidelines. Trailer site leasers who do not sign and return this document with their lease payment by the start of the season will be considered in violation of their agreement with Garezers and are subject to forfeiture of all considerations and possible eviction. Questions & Comments: Please contact our Main Office. Purpose: The “Wait List” consists of individuals who would like to lease a Garezers trailer site. This section summarizes the guidelines and process under which Garezers administers the Wait List. It may be revised at any time, when deemed necessary by Garezers. Question 1: How can someone get on the Wait List? Answer 1: Eligibility is open to individuals who are at least 21 years of age and are members in good standing of a Garezers shareholder organization. To be on the wait list, Garezers must receive a written request, along with a non-refundable check deposit to Garezers for $200. Those currently on the Wait List will need to meet eligibility requirements. This deposit will be used as part of the trailer site lease when you have been granted a trailer site. Garezers administration maintains the official Wait List. Question 2: What does being on the Wait List provide? Answer 2: A place holder on the list, by chronological date order of the request and associated deposit. This place holder provides the individual the opportunity to lease an available Garezers trailer site, based upon the process further described below. Question 3: What is the process to obtain a trailer site? Answer 3: Garezers automatically offers renewals of trailer sites to the individuals who had leased the previous year. Occasionally, these individuals may choose not to renew and their trailer site becomes available. When a trailer site becomes available, the 1st person on the Wait List is contacted and offered the trailer site. If the Wait List individual is interested in the site and the site has an existing trailer which the owner is willing sell, the individual may purchase the existing trailer if the price is acceptable leaving the trailer in place. Should the Wait List individual be interested in the site, but not the trailer, regardless of reason, the owner of the existing trailer must remove the trailer from the site. If the 1st Wait List individual does not wish to lease the available trailer site, they may pass. The available trailer site will be offered to the 2nd name on the Wait List, and so on until the trailer site is accepted. Any Wait List individual who chooses to pass on an available trailer site retains his place on the list. Garezers has no obligation to assist or otherwise intervene with individuals vacating or obtaining trailer sites.